Over the years, Toyota has continued to improve on this design, making the Prius more advanced and more feature packed to attract more buyers. With the addition of these features came more competitors as other manufacturers looked for more fuel efficient options for their vehicles. The 2019 Toyota Prius has a long list of competitors as the hybrid engine becomes more popular. Today we are going to look at three of its biggest competitors and see exactly how the Prius stacks up against them. Adequately named, the Volt was Chevrolet’s breakthrough in the Hybrid vehicle industry. Utilizing a similar setup as the Prius, Chevrolet made the Volt very attractive to users through design, technology, and safety. However, Toyota already had a head start and was able to make their Prius better and better each year. The 2019 variants of each of these vehicles were great competition for each other, but as you can see below, the Prius was a clear winner in multiple categories. Ford has always been one to bring forward the latest technology through their vehicles and a hybrid vehicle was one of Ford’s biggest accomplishments. Working this engine into several of their lineups, Ford has been able to offer many of its same vehicles that everyone has grown to love, with all of the same features but with a hybrid engine upgrade. The 2019 Ford Fusion is a perfect example as it is one of the Prius’ competitors. 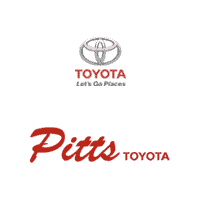 As you can see below, the Prius has some very sharp advantages when comparing some popular aspects of each vehicle. Continuing their ongoing rivalry, Toyota and Honda go head to head again with the Prius and the Accord. These vehicles, while looking very different, compete in the same hybrid space. Surprisingly, the Prius beats out the Accord in many places we would not expect it to which leads us to believe that Toyota is starting to improve the Prius more than anticipated.